So as some of you may know we are going global! 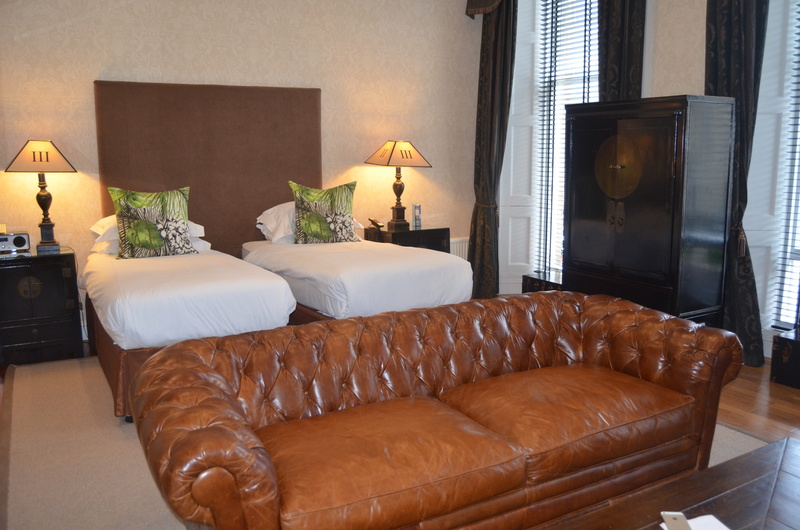 We will be revieiwing hotels up and down the UK for you! We will be going from the top 5* to the best budget hotels! Each having it’s own magic! We have a special team who find only the best, unique, and tailer hotels to you, our readers! 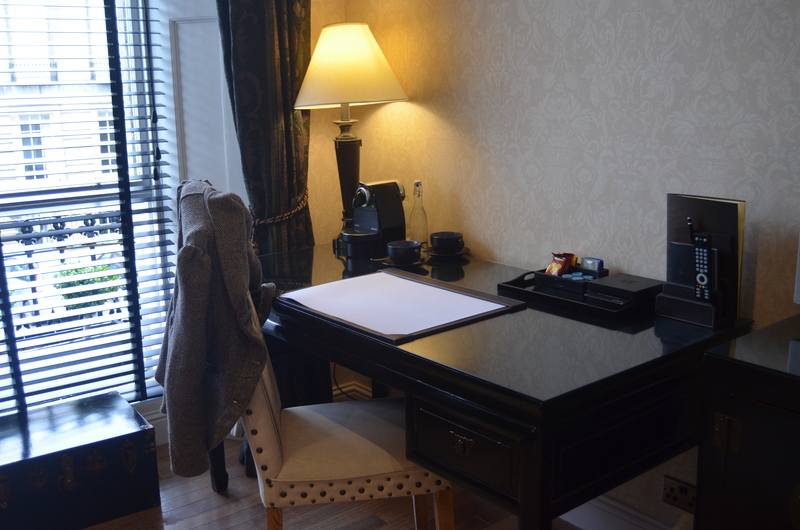 We will be looking at everything from sporting hotels, to spa’s and casual B and Bs! So first up, we thought we would start in the highlands of Scotland! The capital… EDINBURGH! 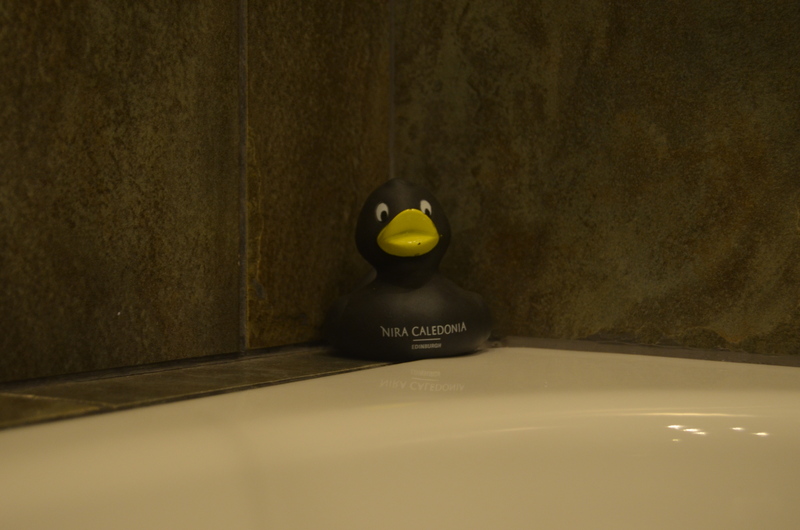 Nira Caledonia Hotel is unique in many ways, from it’s design, location, structure and everyday runnings of the hotel. 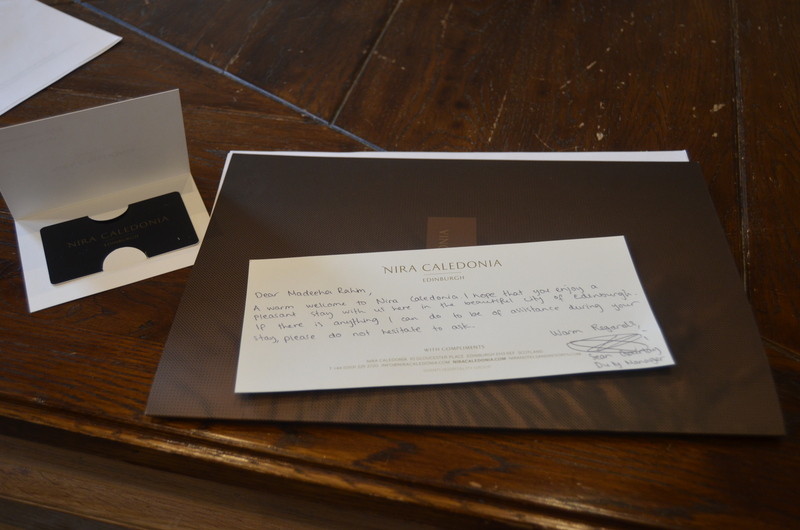 The Nira Caledonia is a luxury romantic, unique boutique hotel that offers a experience of a different kind! 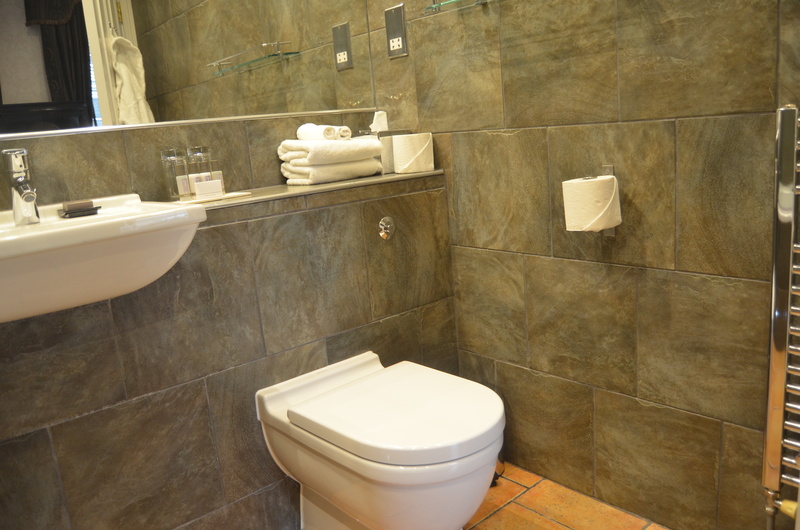 It is situated just 10minutes walk from Princess St (The main shopping/city centre), but located in a residential area, so you don’t get the noise and hustle of the city centre! A carefully thought idea! 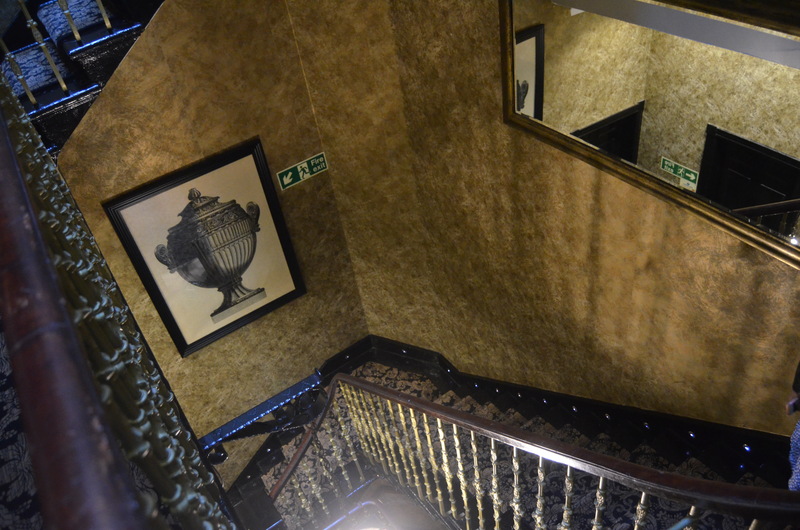 The hotel is occupied over two buildings, so it gives a real homely feeling as you tap in with your card to the building, then up (or down) to your room, as the reception and restaurant are a separate building. 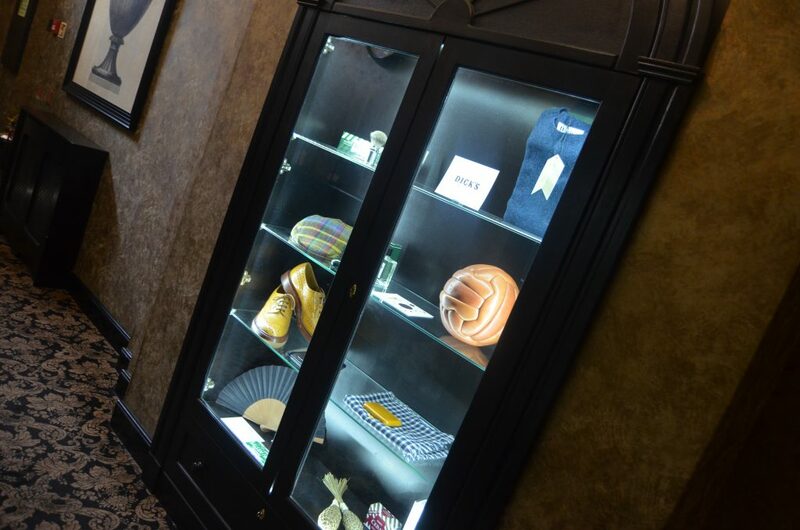 Everything from the Decor to the fine details are unique and the hotel has a spark for fine details. For example our Rubber duck in the bath! Or the books on the side tables! 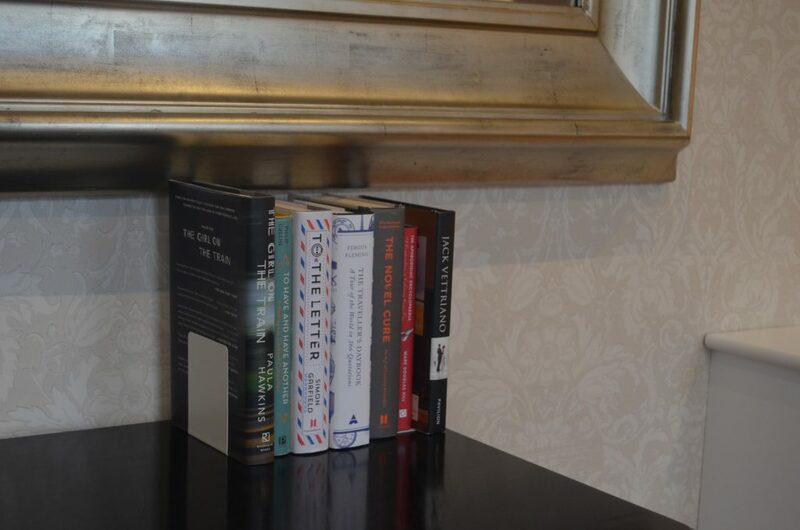 The hotel has an eye for detail. 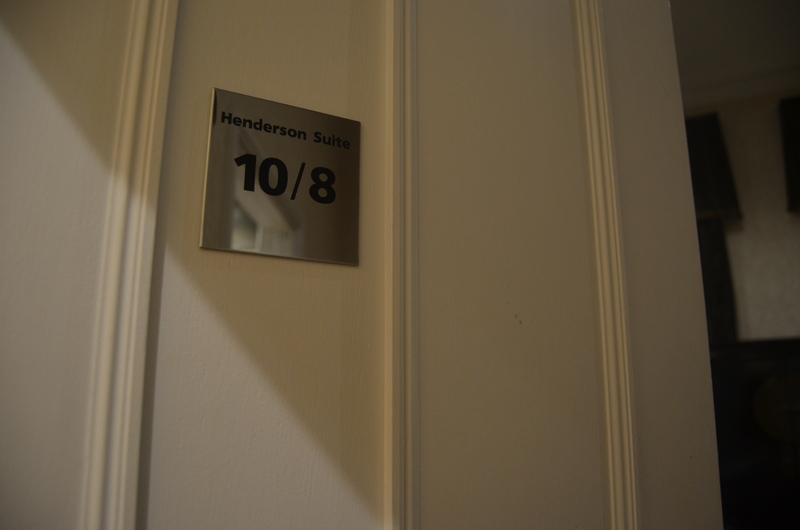 The room we stayed in was the henderson suite, a modern yet classical approach. The modern amenities one would expect with a touch of classical personalisation. There were two german, edging on eastern styles armoires, a flat screen TV, a wood study table with a rather comfy chair! The room was almost like a mini studio apartment, with a lounge area with a leather sofa and wooden table, the TV, Then the two single beds behind and to the left corner the study table and the right the bathroom. It was something one could relax in with ease, knowing everything is all in one place. Upon arrival we were greeted by two of the hotel staff and given a guide about edinburgh, a personal note from the staff, and obviously our room card, which also gave us access to the building. I know some people may think but it rains a lot in the UK, surely moving buildings is a hassle? No, in this case there are umbrellas by each door and its a literal split second walk as you can see from the picture below. The radio and dock on the left allowed us to use our own devices or chose from the wide selection of music that was currently playing! 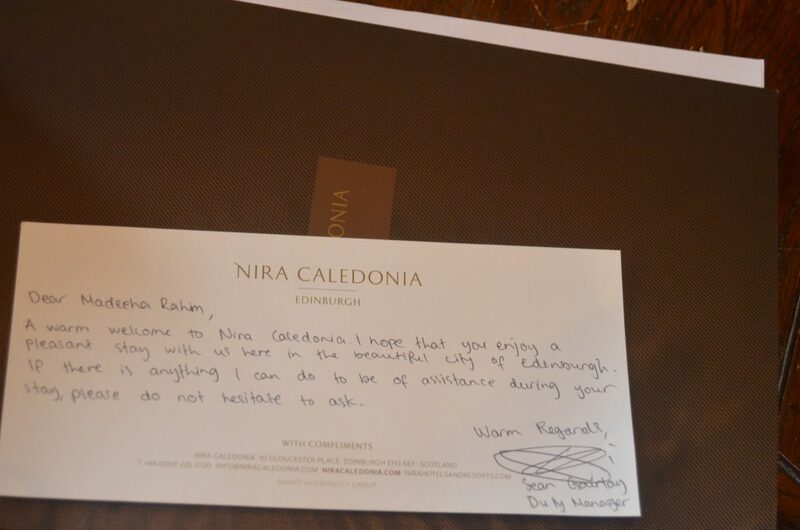 Our personal note fro the hotel staff, personalised to our stay in Edinburgh! 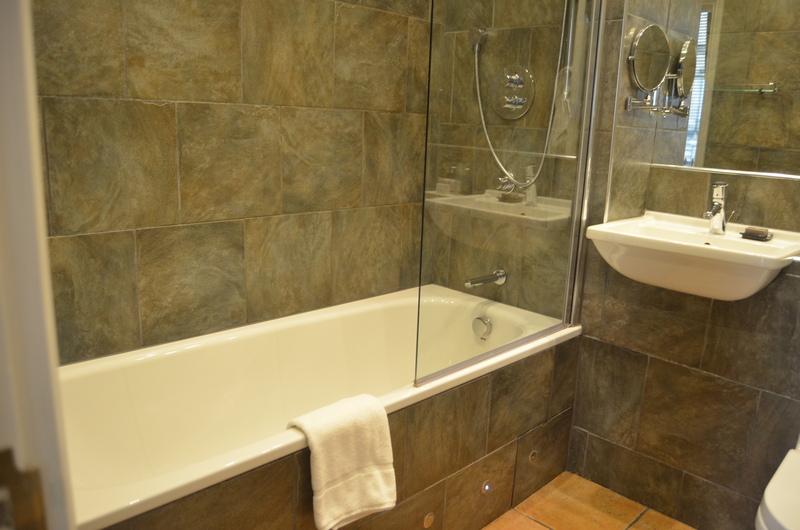 The Nira Caledonia has many rooms with a Jacuzzi bath option available! A section of books for some light reading before bed? 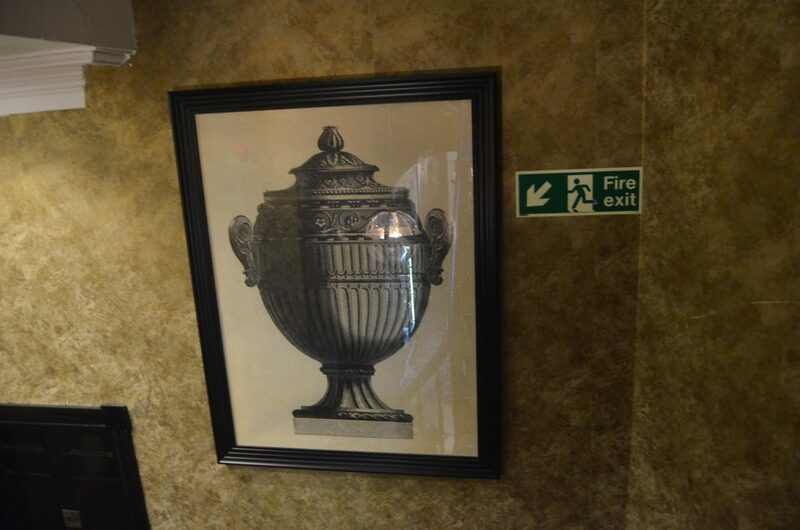 We love the different artwork doted around the buildings, each painting with its own meaning or reflect no the hotel! The attention to detail with these cabinets around the buildings was very refreshing! 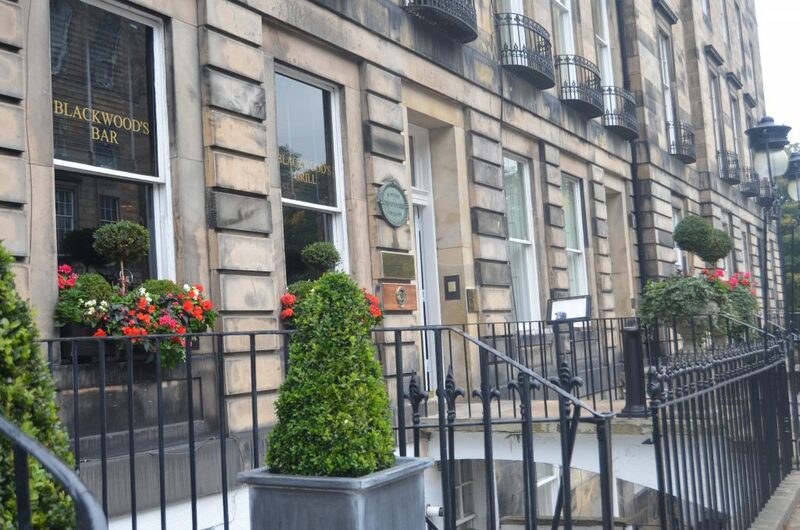 The buildings were a true reflection of Edinburgh’s old style and heritage! The hotel was clean and the staff were very friendly and assisted us in everything we needed, even when we wanted our midnight snacks we brought back from dinner heated up at night! Sadly, This may be a huge let down for many, but we have to share that our wifi did not work until 11pm the first night, but after that it was fine and dandy! Upon enquiry we found that this was a problem across the hotel and it was addressed upon first complaint, so we don’t think it to be such a large issue! Breakfast the next morning was a selection of pastry, fruit, and juices at the bar and one could order their choice of breakfast from a carefully planned breakfast menu. There was the choice of a full Scottish and a vegetarian option, which we liked! 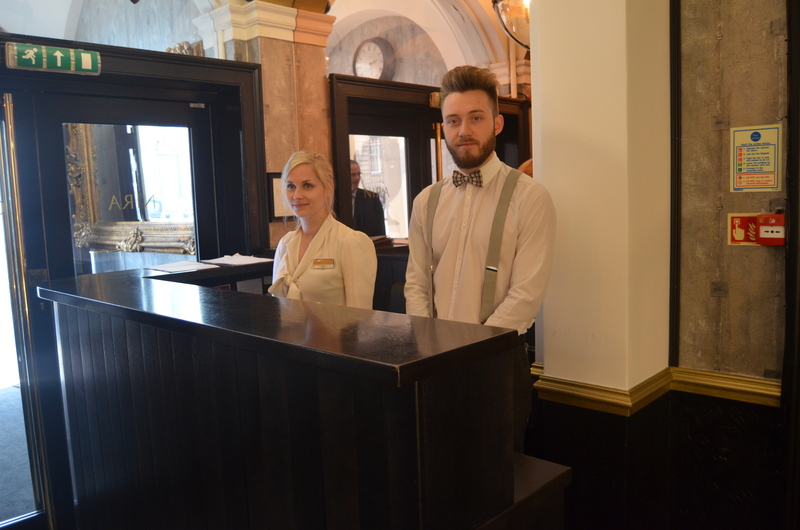 The staff were very friendly and jolly! IT’S A THUMBS UP FROM US!! Here is a few more snaps to lure yo to this wonderful place!! 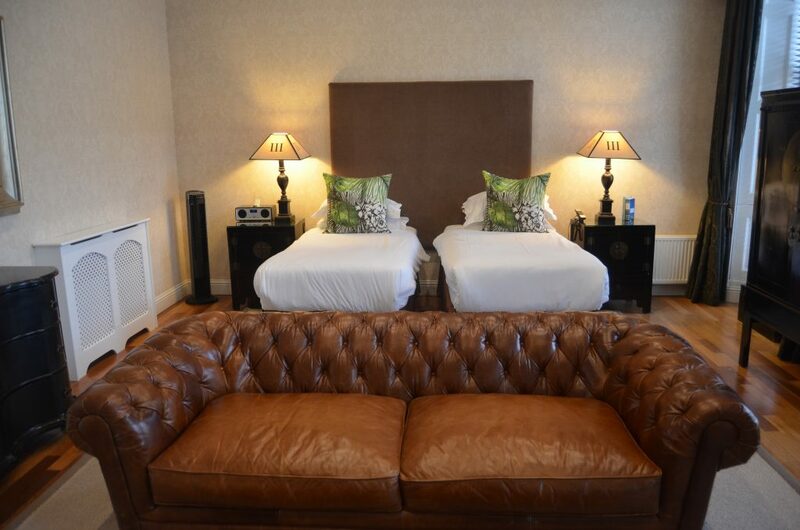 Check out the site for their latest offers and bookings!